Nobody Beats Our Prices… Nobody. We understand no one likes to feel like they might have paid too much for something and at Top Notch Marine we decided to do all we can to insure you feel great about your decision to buy from us. 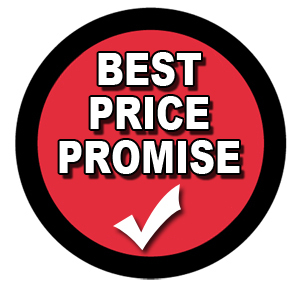 If you find a lower price on an identical item at a local or online retail competitor prior to purchase (including tax, shipping, handling, prep and delivery fees), just bring us the competitor’s current ad or show a printout, photo, smartphone display or app, or in the case of a boat, motor or trailer a legitimate sales quote and we’ll match their price. Our price match policy doesn’t apply to certain products, brands; labor; closeout, discontinued, clearance, refurbished, used or damaged items. Limited to reasonable quantities. Can’t be combined with other discounts. Additional restrictions apply. What’s considered a local retail competitor when requesting a price match? A local retail competitor for parts and accessory purchases includes retail stores located in the same market of your local Top Notch Marine store. Local retail competitors don’t include auction sites or third-party marketplace sellers such as Amazon marketplace. The store or Top Notch Marine Customer Care must be able to successfully validate the price on the local competitor’s website or ad in order to complete the price match. If the price can’t be validated, Top Notch Marine may decline to price match. Please talk to a sales associate for help with your price match request in store. After you tell us about the item and price you want to match, we’ll verify the information before completing the price match. If you have the competitor’s advertisement, please present the entire printed ad or a photo of the ad. Digital versions of printed advertisements are accepted. If you found the price online, please present the price on your mobile device from a qualifying competitor’s website. A Top Notch Marine sales associate will then verify the match using a Top Notch Marine device. Price match will take into account any taxes, shipping and delivery fees. For example, if a competitor is offering an item at $50 plus $10 shipping plus 6% sales tax, the match price will be $63.60. Sales tax is a state requirement and cannot be matched or altered. Competitor items must be in stock on the competitor’s website at the time a price match is requested. Top Notch Marine may not be able to honor a price match request if items are out of stock at a Top Notch Marine store at the time of the request. Can I apply the price match to a purchase of a large quantity of items? Top Notch Marine reserves the right to limit requests to reasonable quantities. If you’re looking to buy a significant quantity of a specific item, please visit your local store to see if a volume discount is available. Are there any prices Top Notch Marine won’t match? 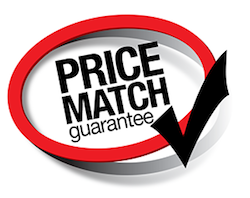 The price match policy doesn’t apply to labor, clearance, closeouts, discontinued products and refurbished, used or damaged items or demo/open box items. Top Notch Marine also won’t match a competitor’s rebate offers, sales tax promotions, senior/other discounts, buy-one-get-one-free sales or advertising/pricing errors. Are there any products Top Notch Marine carries that never qualify for price match? The following items don’t qualify for price match: Select electronics, financing terms, engines, boats, trailers and parts. Top Notch Marine doesn’t match competitors’ coupons. Customers can either use a Top Notch Marine coupon or price match to a lower competitive price but not both. Top Notch Marine doesn’t allow coupons to be used on a product that has a price match. How does price match on boats, motors and trailers work? Simple, provide a legitimate quote prior to purchase in the form of a dealership sales agreement, a dealer quote or a dealer email containing the unit details such as year, make, serial number and model, options, taxes, fees and a total amount due. Top Notch Marine reserves the right to verify all prices or offers. Freight charges vary by distance from factory and may differ. Demo models do not apply. Special order parts & accessories are non-cancelable / non-returnable / non-refundable and require pre-payment in full. All parts are subject to inspection. Any special circumstances will be dealt with on an individual basis with Management. Refund exceptions made to this policy are for store credit only. All other refunds are issued to the original method of payment. Freight Charges will not be refunded. Items found not acceptable for return will be held for a period of 10 days to allow for customer disposition. Top Notch Marine assumes no responsibility for rejected parts beyond 10 days. Special order parts not picked up within 30 days of arrival are considered abandoned and disposed of. Items returned for warranty require manufacturer warranty approval prior to refund being issued. This parts return policy does not pertain to warranty claims or parts ordered in error by Top Notch Marine. In any case, Top Notch Marine reserves the right to cancel or alter any portion of this policy without prior notice. Boats, motors or trailers are not returnable under any circumstances. Bulk rate or special shipping charges by quote. Per line item charge $5.00. Shipping charge will be totaled and collected at parts pickup, deposit of $75.00 required at time of order. Please allow 5 to 9 working days for special order parts and accessories. Special orders of manufacturer made items can take as long as 120 days or more. Custom parts, canvas and upholstery and items for boats more than 1 year old. *Net price of boat only used to compare prices, not including sales tax, title & registration or dealer fees. Boats and equipment MUST be identical.